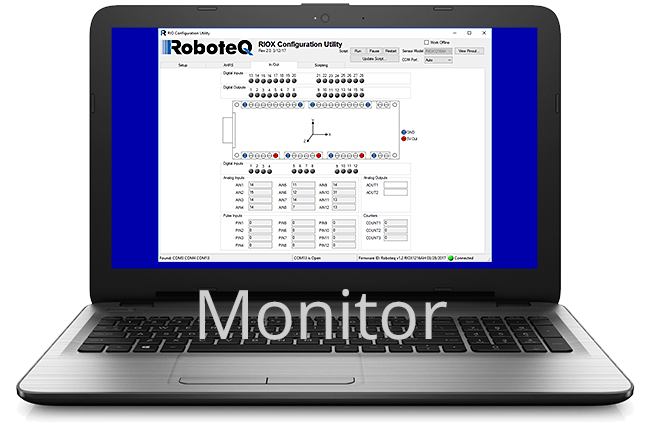 Roboteq's Robot IO eXtender is a smart input/output and communications module specifically intended for Robotics applications. 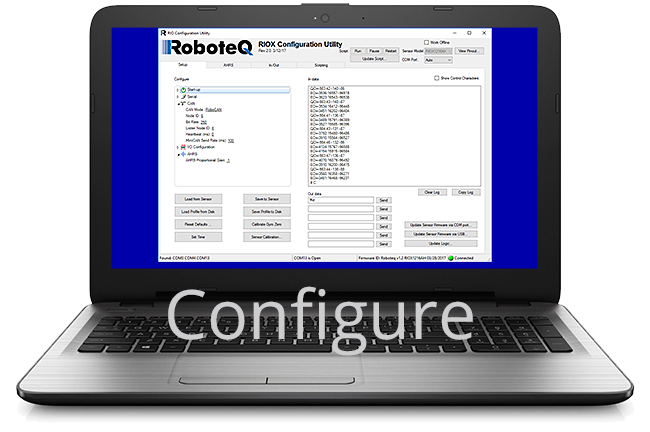 It is the perfect companion to your Roboteq Motor Controller, PLC or Embedded Computer, thanks to its many interfaces to commonly used robotic sensors and actuators. The RIOX has a 9 Degree of Freedom (DoF) accelerometer, gyroscope and magnetometer. That’s not including, of course, its fusion algorithm for creating a precise Attitude and Heading Reference System (AHRS). The RIOX Electronic Compass and Artificial Horizon functionality, when added to Roboteq's extensive offering of motor controllers, opens a world of applications in sea, land or airborne unmanned robotics vehicles. A self-balancing robot or scooter is easy to create when you know its inclination with precision and in real-time. Roboteq's RIOX's 3-axis Gyroscope and Accelerometer work together to precisely sense and accurately compute this information. Fast communication with the Motor Controller ensures the robot's quick response and stability. The RIOX features 12 inputs, each of which can be individually configured as digital, 0-5V analog, or as a pulse input. In the pulse mode the inputs can capture pulses from RC radios, frequency, duty cycle, or counts from quadrature encoders. Two Analog Outputs and up to 16 industrial-grade and protected Outputs are available for connecting lights, solenoids, buzzers or any device with 1A max load. 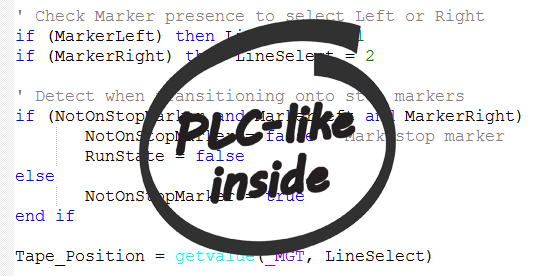 In short, this means you can interface Roboteq's RIOX with practically anything. 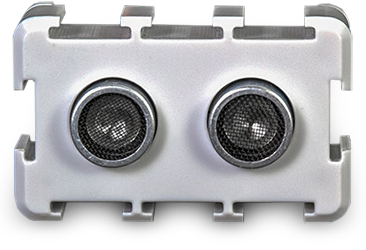 Inputs on Roboteq's RIOX can be used to connect up to 12 ultrasound distance sensors for 360-degree obstacle detection and environment mapping. These inexpensive and highly accurate sensors offer millimeter resolution over a four-meter range. 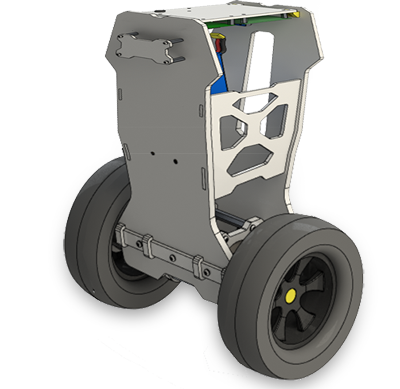 The RIOX, together with Roboteq’s line of Motor Controllers, Magnetic Guide Sensors, and Lithium Battery Management Systems, form our full solution for Mobile Robots and Automated Guided Vehicles (AGVs). Each of the RIOX's 12 Digital Inputs can be configured to generate a variable width pulse for driving RC servos. 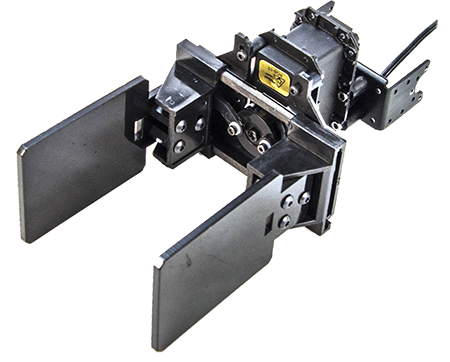 Use any of the thousands of commercially available servos for building low cost Robot Arms, Pan & Tilt Heads, Gimbals or anything else you need to move. Smart IO or IO with Smarts? 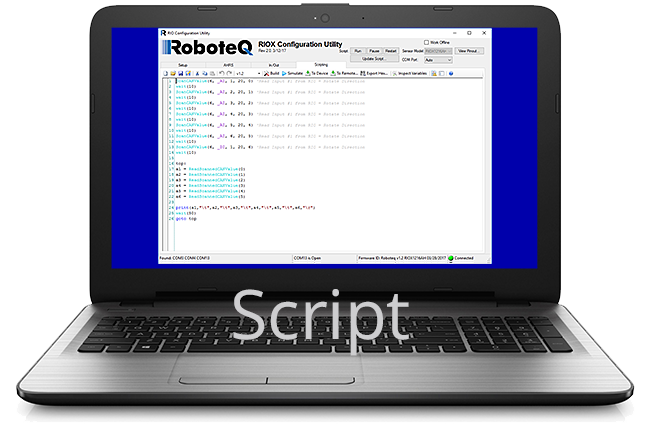 Roboteq's RIOX has a simple but powerful built-in Programming Language that you can use to pre-process and condition the I/O signals, or, like a small PLC, perform complete automation sequences. 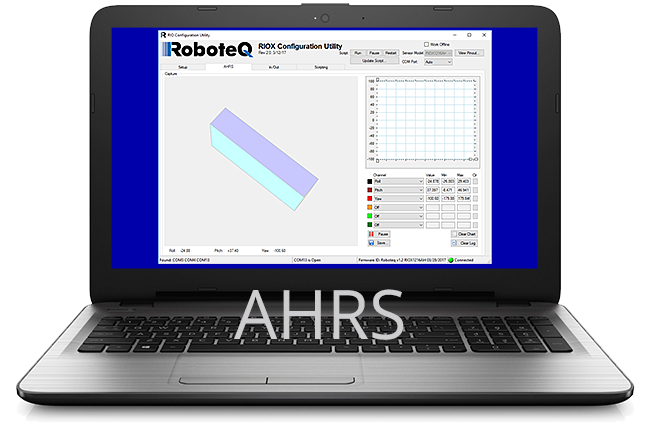 This Roboteq exclusive feature will let you tailor the RIOX to match your most exotic requirements. The RIOX will talk to any PLC, Embedded or Roboteq Motor Controller thanks to its USB, RS232, RS485 and CANbus intefaces. Four CANbus protocols are supported, including CANOpen, Roboteq's RoboCAN and the low-level RawCAN. 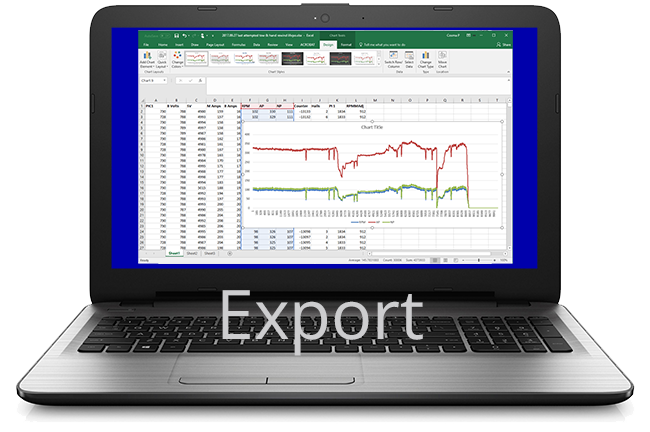 A free PC utility is available for configuring the module, monitoring in the state of the inputs and outputs, viewing the AHRS data, and for editing MicroBasic scripts. Roboteq's RIOX is backed by a Team dedicated to making your RIOX work for you. Detailed documentation, sample software, technical support, and guaranteed long term availabity mean that you can count on the RIOX meeting your requirements. Its stability, dependability and durability garunatee thet it will remain viable and available long after other product fads have disapeared. I love how it reacts to how I move it. I also love how it handles quick movements like dropping it from an angle on my desk. I am going to recommend implementing RIOX in my customer's projects. Thank you very much for all your support.